R Robot’s mechanical characters can be found anywhere from the large urban walls painted around Brooklyn to the illustrated pages of the artist’s children’s books. By simplifying his work down to the use of one singular recurring image—the robot—he explores a variety of universal narratives that are familiar while also somewhat obscured. 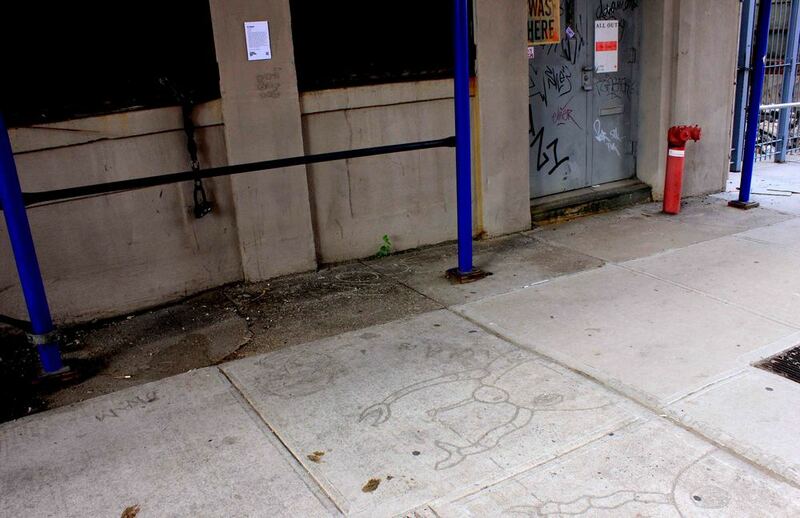 Here, instead of working on the arrestingly colorful murals we are used to seeing around the city, RRobot has playfully drawn his characters into the wet cement of the sidewalk.